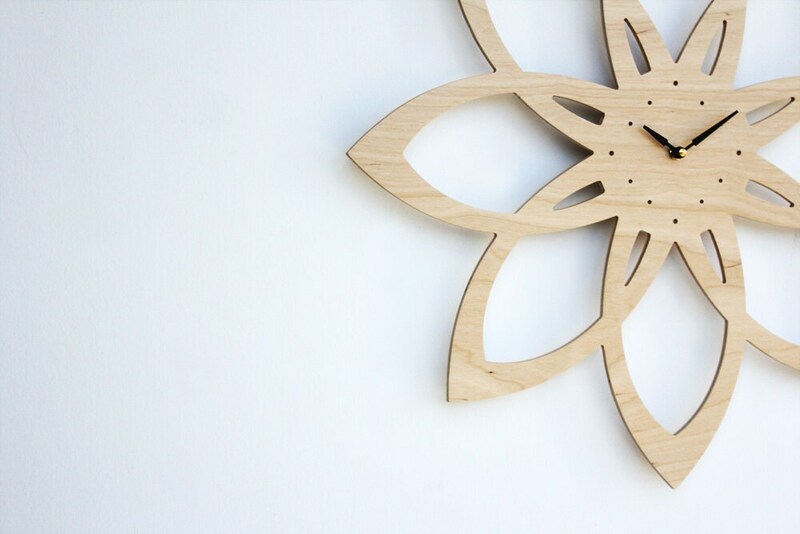 Mid century modern inspired design, gorgeous wall clock for you minimalists out there… Clean and simple design with no numbers to distract. 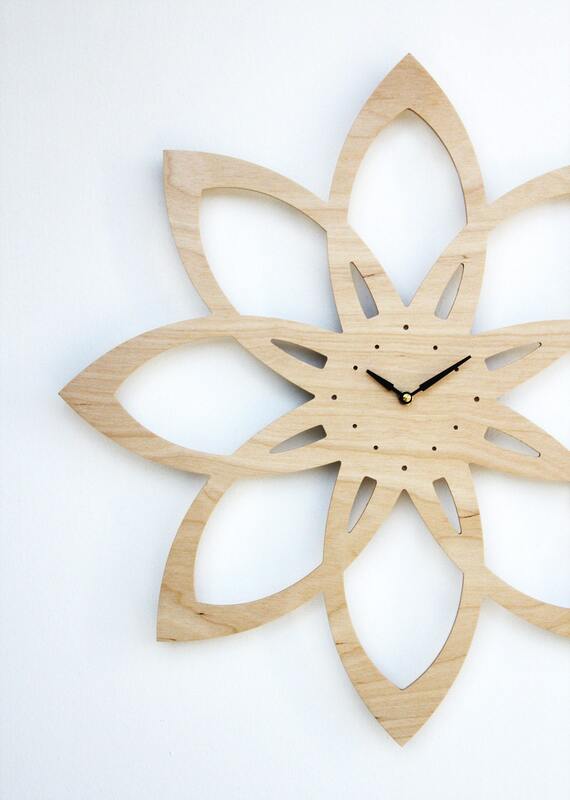 Engraved dots help to keep time. 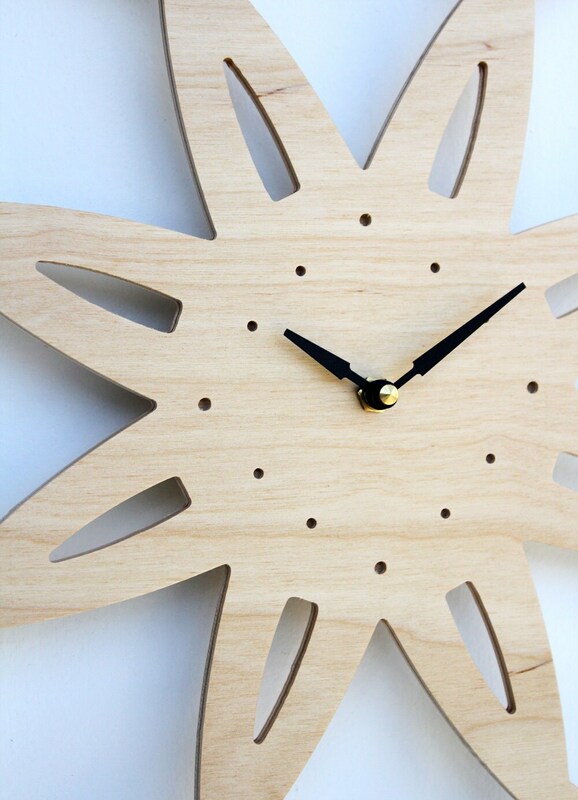 Large mid-century modern sunburst clock design sports a beautiful birch woodgrain professionally coated with a semi-glossy waterborne urethane to protect. Stands about 3/4" out from the wall, which creates some beautiful depth and shadow effects. 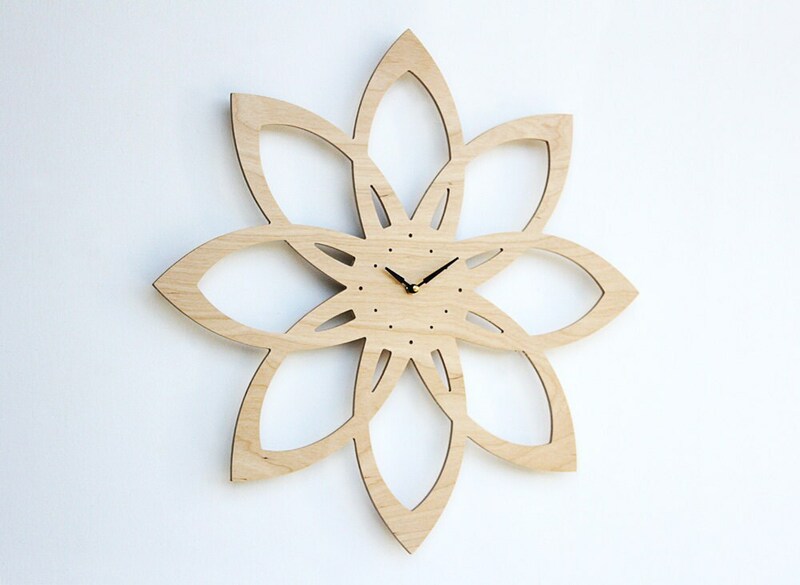 You will receive: One modern sunburst clock in natural birch. 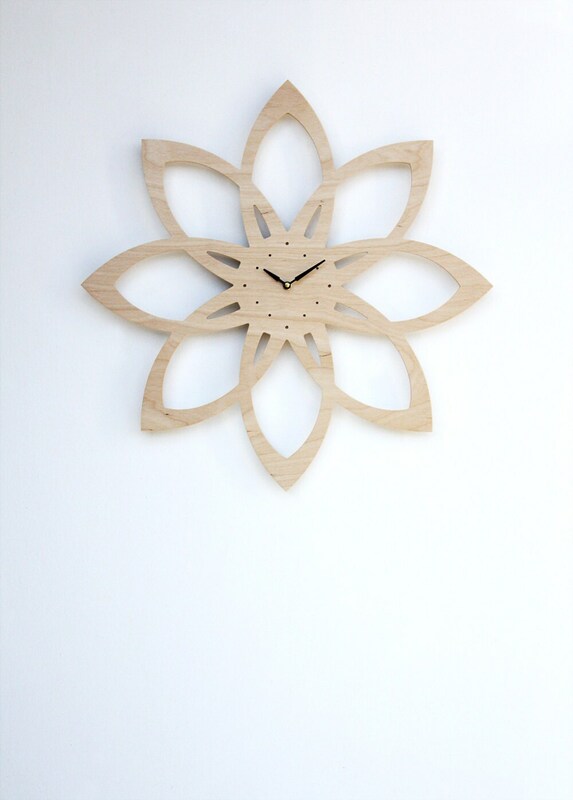 Clock measures 20"w x 20"h x 1/4"d (stands 3/4" out from wall), ready to hang. Requires one AA battery, not included. Domestic Shipping: This item ships via FedEx Ground and should arrive within 3-4 business days. Insurance included. International Shipping: This item ships via USPS Priority International Mail. This is a trackable service and usually takes 6-10 business days. Insurance included. all images and designs copyright 2011 dust and ashes productions, inc.